Present state: Demolished - no trace remains. 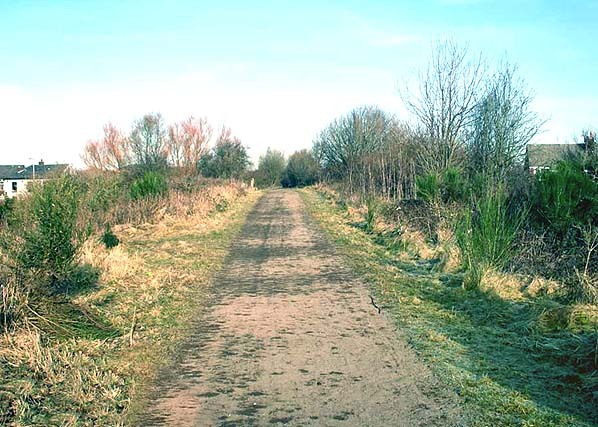 Trackbed in use as footpath. Notes: Amberswood Station was located on the Whelley Loop which was constructed to allow trains to bypass Wigan on route from Blackburn to St Helens. The line which was built primarily for Freight opened in 1869. On the 1st January 1872 the Lancashire Union Railway opened two stations on the line, one at Whelley and one at Amberswood. Amberswood station was probably located on the south of Wigan Road. The station had two platforms. At the time of opening Amberswood was served by three trains per day which ran to Liverpool. The service was not a success and ceased after only two months. Amberswood Station closed on the 1st March 1872. The Whelley Loop itself carried numerous goods, excursion and diverted passenger trains well into the 1960s. The line closed in 1970 b ut was re-opened briefly in 1972 when it was singled and it went out of use in 1976. The exact position of the station is unclear as with a life of two months it is not shown on any maps. The 1895 map nel.ow shows the most likely site of the station so the south of Atherton Road but it might have been on the north side of the road. is the most likely site of the station. 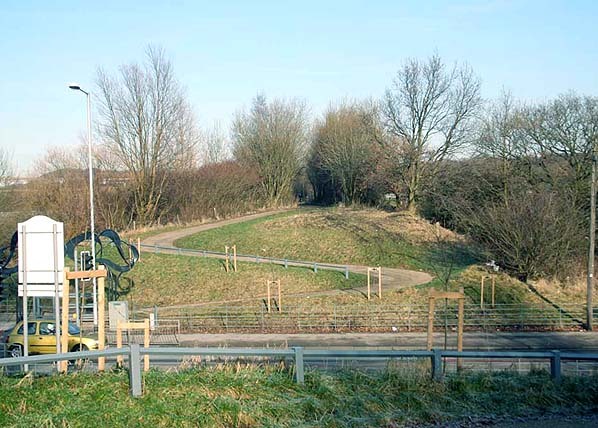 Looking north across the site of the Atherton Road bridge in january 2009. The station was probably sited behind the cameras but might have been on the far side of the bridge.